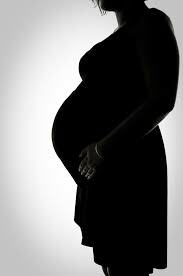 A nurse, Mrs. Iyabo Akinloshotu, has been arrested for the death of a patient during labour at a maternity centre on Albert Adeniran Street, Denro, Ogun State. The deceased, Blessing Anyau, was said to have been admitted at the maternity centre, Shine of God Health and Maternity Centre, on Monday. She reportedly died on Wednesday. It was learnt that Anyau had lived in a rented apartment in the Kolaq area with her lover, Sunday Jacob, who was said to have travelled when the incident happened. It was also said that the deceased, who hailed from Imo State, and Sunday were not legally married. It was learnt that Sunday’s family members had earlier taken her to a hospital, where a doctor referred them to a government owned facility for a caesarian section. The family, however, declined the doctor’s advice and took her to the centre. It was learnt that the nurse and Sunday’s brother, Friday, Jacob, were arrested after the incident was reported at the Ajuwon Police Station. Activities at the maternity centre were skeletal during Punch Metro’s visit, as only an employee and the nurse’s son, Tosin, were on ground. The worker declined comment on the incident but 18-year-old Tosin said 29-year-old Anyau was not due for labour, but was rushed to the facility over health challenges. He explained that Sunday had brought her for ante-natal some months ago, adding that her life would have been saved if Sunday’s family had raised money for her to be treated. He said, “She did a test and the result showed that she had typhoid and malaria, while the baby was weak. According to a scan, she was supposed to give birth on June 1. He said, “She was sick when her husband brought her for ante-natal at the early stage of her pregnancy. She was treated and told to come regularly for check–ups. But she went to register at another hospital. Of the N15,000 charged for the treatment then, her husband paid only N3,000. He said Anyau had gone to bathe and was about to leave the hospital when she became unconscious and died afterwards. He said, “On Wednesday, when the family did not show up, Blessing was asked to leave. She died shortly after she came back from the bathroom. This thing had never happened here since the past 14 years when this place was opened.”. The Ogun State Police spokesperson, Muyiwa Adejobi, said the professionalism of the nurse was under scrutiny, while Sunday’s brother was being investigated for conspiracy in the woman’s death.